In part 1 of this series I quizzed readers in order to introduce the topic of training to reduce employee theft. My goal is to caution employers not to assume they are readily equipped or knowledgeable about dishonest workers on their teams. I also want to let store managers and owners know that they are not helpless in the hiring of dishonest candidates. There is an arsenal of tools available to managers to minimize losses attributable to employees who are stealing from them. Loss Prevention Systems, Inc. has that toolbox and has been helping store owners reduce shortage due to employee theft since 1983. In all probability the most important tool for store owners is training to reduce employee theft. When you know how dishonest people are hired, how they steal once they are hired and signals that dishonest employees give that indicate they are stealing you can then take steps to stop that activity. In the quiz I presented several questions that had to do with identifying activity or behaviors that could indicate an employee is stealing. I want managers to recognize that dishonest workers are not going to necessarily be easy to pick out. One example I want to expand on is the overly friendly employee. Now there are people of course who are just naturally warm and outgoing. Then there are the employees who can seem to be friendly but if you can keep from being charmed you realize they fully focus their conversations on YOU. They complement you on your clothes or car or how your hair looks. You should have a big red warning light flashing in your head about these people. There is a good chance they are dazzling you in order to not look suspicious as they are really engaging in employee theft behind your back. I have worked in Retail Loss Prevention long enough that I have dealt with these characters and they are annoying. Another thing that can make employee thieves more detrimental than shoplifters is that they will often work with others to steal. I have caught employees who recruited other employees to steal with them or pass merchandise to each other (the act of not ringing up merchandise but looking like they are and then bagging the items). I have caught employees having their friends come through their checkout lane and after taking money from the friend as payment, they gave back too much change…in the amount of tens and twenties, clearly not an accident. Without the training and skills to identify this type of employee theft it can take place over a long period of time and lead to hundreds of dollars in losses. In part 1 I also mentioned briefly theft that is not commonly identified as theft but it does cost an employer a lot of money. Time clock fraud is an excellent example of this. The employee engaged in this activity may have a friend clock in for them when they are not at work. It can also be the worker who clocks in and then takes their time putting their things in a locker, using the restroom to comb their hair or put on makeup and even change into work clothes. It may only seem like 5 or 10 minutes here or there but think about the lost productivity you are paying for over the course of a year. Then there is the employee who steals store property and takes it home. I have seen employees take maintenance tools from the store. In their training to reduce employee theft, Loss Prevention Systems, Inc. covers all of these issues. Finally there are the employees who have been in good standing for many, many years. These men and women have been trustworthy and dependable but then something happens in their life that dramatically alters their personal situation. These are good people but rather than seek any assistance to deal with their problems they think they can steal some money or merchandise and take care of the problem. They may even have the intention to pay back what they take. There are signs that can give these people away but you have to be in tune to what they say or do that is out of their normal character. Loss Prevention Systems, Inc. covers this in the trainings they offer to employers and managers. Training to reduce employee theft is not a cure all for every situation but it can help prevent a lot of the losses you would otherwise encounter. Employee background checks and pre-employment drug screening also reduces the likelihood of employee theft. 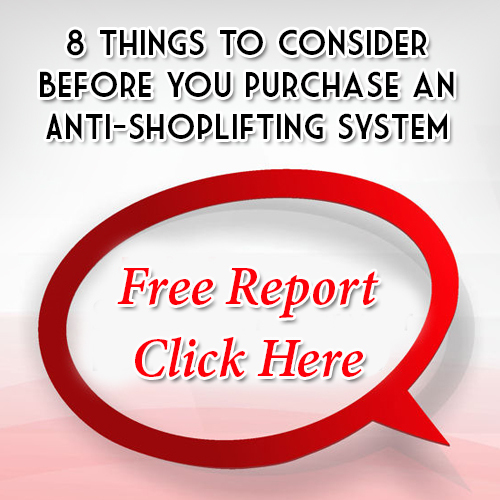 And remember, when all else fails, Loss Prevention Systems, Inc. can also help you with theft investigations and get your store back on the right track. Employee theft is important and we can help you with it. Call 1.866.914.2567 and let’s talk.